Starting on January 19, 2018, the U.S. Mint will be resuming the Mutilated Coin Redemption program. The program was suspended in December 2015 when the government alleged that a company in New Jersey was importing counterfeit coins from China to redeem as mutilated coins. Formal charges were brought against the persons involved in March 2016 and the U.S. Mint extended the suspension indefinitely in May 2016. The recycling industry has complained to the Department of the Treasury and their members of Congress over the U.S. Mint’s inaction with providing new rules to restart the program. After publishing two draft rules and making adjustments based on the comments, the Final Rule was published in the Federal Register (82 FR 60309) on December 11, 2017. The Final Rule that makes adjustments to the regulations for “Exchange of Paper Currency and Coin” (31 CFR Part 100 Subpart C) in order to add additional clarity and oversight to the process. This includes depositing worn or heavily scratch coins in a bank or other authorized depository. Bulk submission over one pound must be separated by denomination and must be identifiable. Each denomination is considered one submission and must be over one pound (e.g., one pound of nickels and one pound of dimes and one pound of quarters, etc.). Dollar coins also have to be separated by type (e.g., Eisenhower, Sacagawea, Presidential, etc.). 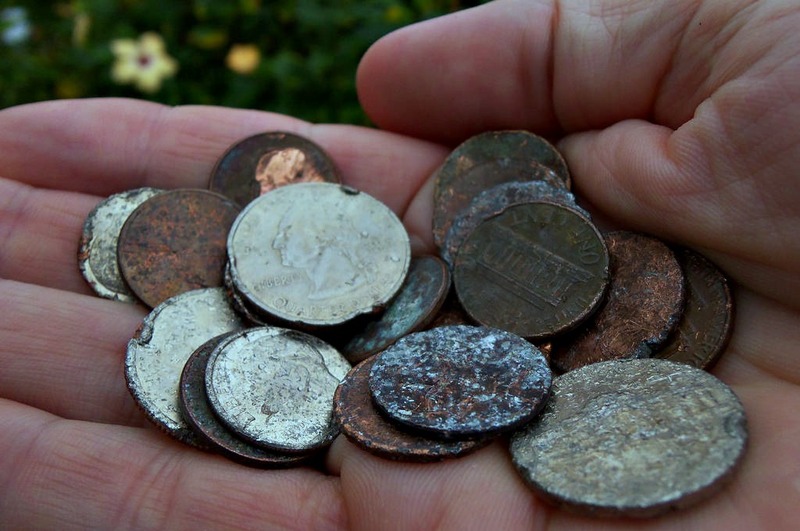 The updated program restricts the redemption of fused, unsorted, and unidentifiable coins. Coins made of gold and silver are not accepted as part of this program. Those needing more detailed information should consult the “Mutilated Coin Redemption Program” webpage on the U.S. Mint website (see http://bit.ly/Mutilated-Coin). Image courtesy of Recycling International.